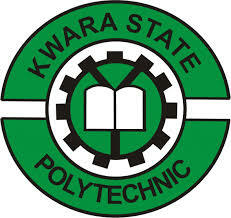 The Kwara State Polytechnic, KWARAPOLY National Diploma [ND] Part-Time Programmes Admission Form, Entry Requirements, Method of Application for 2018/2019 Academic Session. 1. Applicants for admission into Part-Time National Diploma (ND) programmes will be required to have a minimum of five O/L Credits in relevant subjects at SSCE, GCE, NECO and NABTEB at not more than two sittings. 2. CREDIT PASSES IN MATHEMATICS AND ENGLISH LANGUAGE ARE COMPULSORY FOR ALL APPLICANTS SEEKING ADMISSION INTO ANY PROGRAMME IN THE POLYTECHNIC. IN ADDITION, THE OTHER THREE SUBJECTS MUST BE RELEVANT TO THE COURSE OF CHOICE. 3. ALL PART-TIME APPLICANTS ARE ADVISED TO SIT FOR UNIFIED TERTIARY MATRICULATION EXAMINATION (UTME).